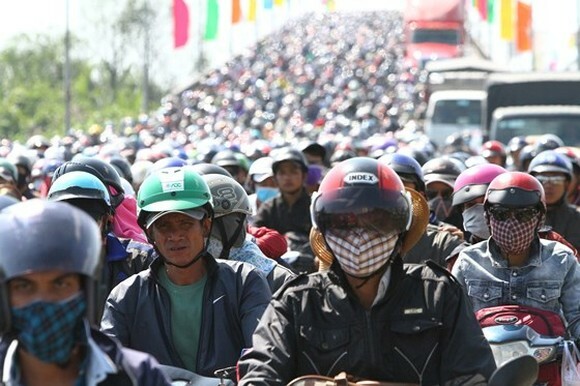 Holidaymakers from the Mekong Delta have streamed back to HCMC since the morning on Febuary 10, the sixth day of the lunar new year, after Tet holidays, causing several kilometers and hours long traffic jam in National Highway 1A. 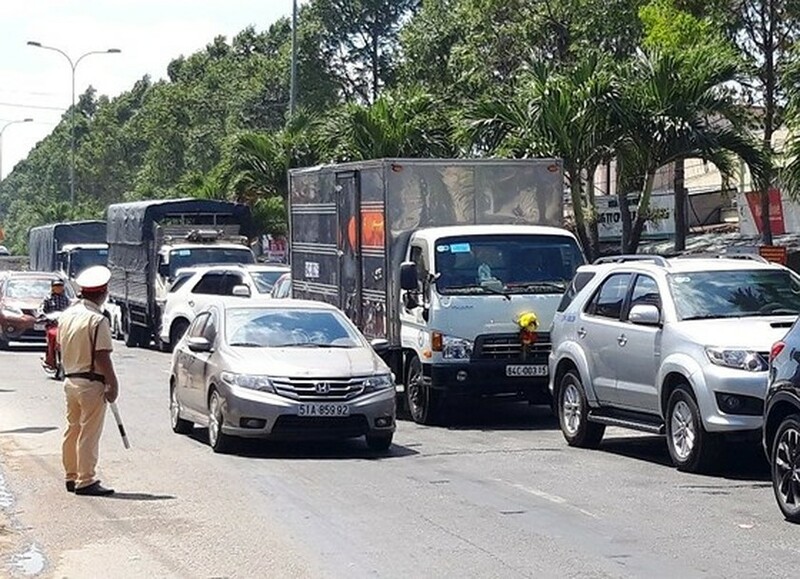 Since noon, thousands of vehicles moved inch by inch in the highway’s stretch in Ben Luc district, Long An province neighboring Binh Chanh district in HCMC for working tomorrow. 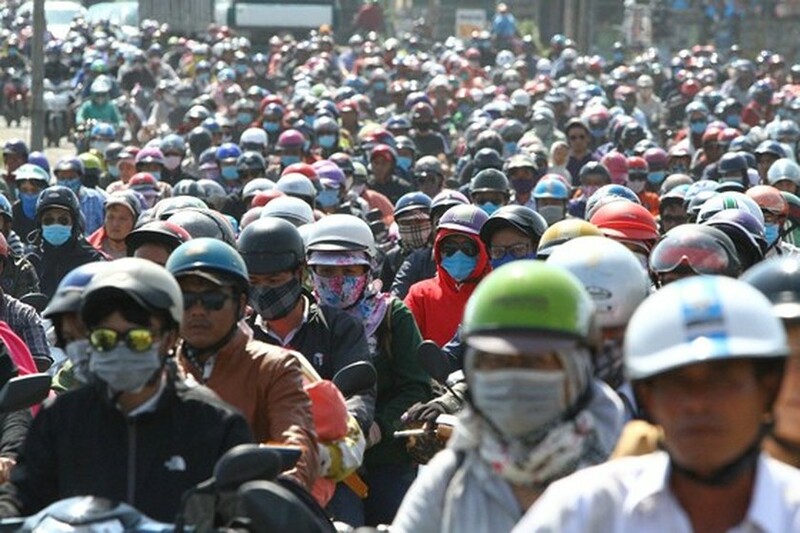 Lot of people traveled by motorbikes resulting in the huge flow of vehicles in streets leading to HCMC and kilometers long traffic jam in Ben Luc bridge, linking up Mekong Delta provinces and HCMC. Travel in the highway in Binh Chanh district was also very difficult. 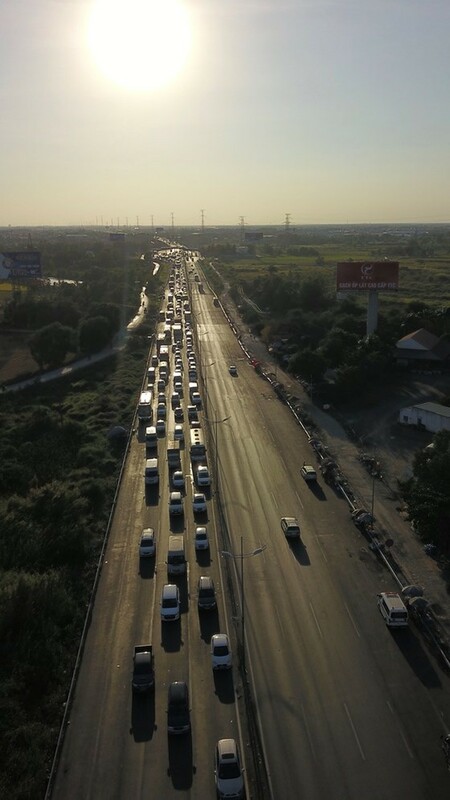 The traffic jam was not abated in the afternoon on the same day. 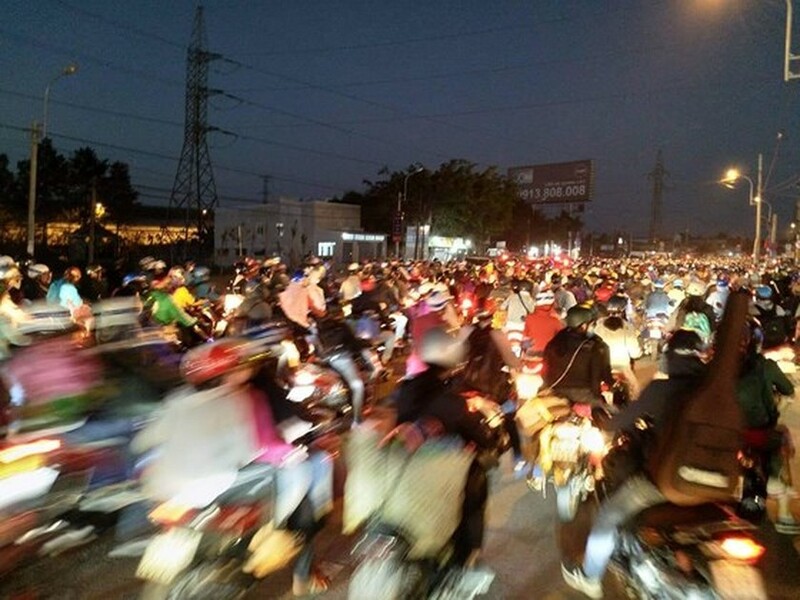 Similar condtion was also seen in the national highway in Can Tho city. 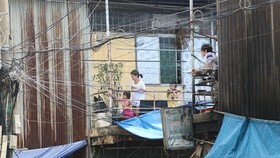 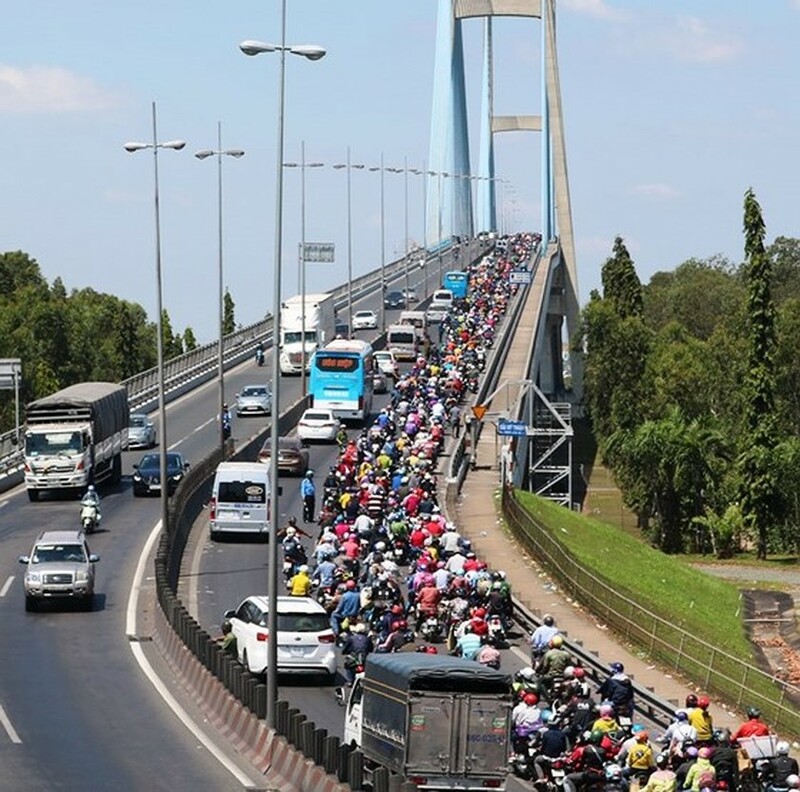 At 10 a.m., an accident between two cars took place in Can Tho bridge worsening the traffic jam. 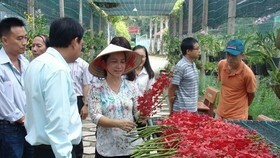 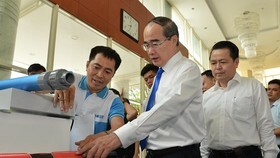 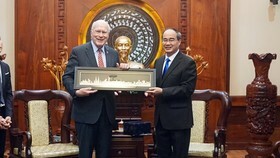 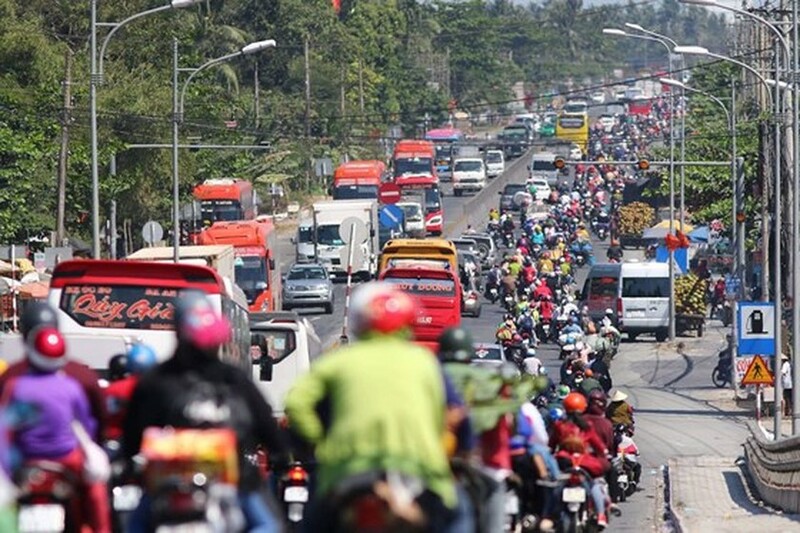 In Vinh Long province, traffic congestion was worse in My Thuan bridge and Dinh Khao ferry station. 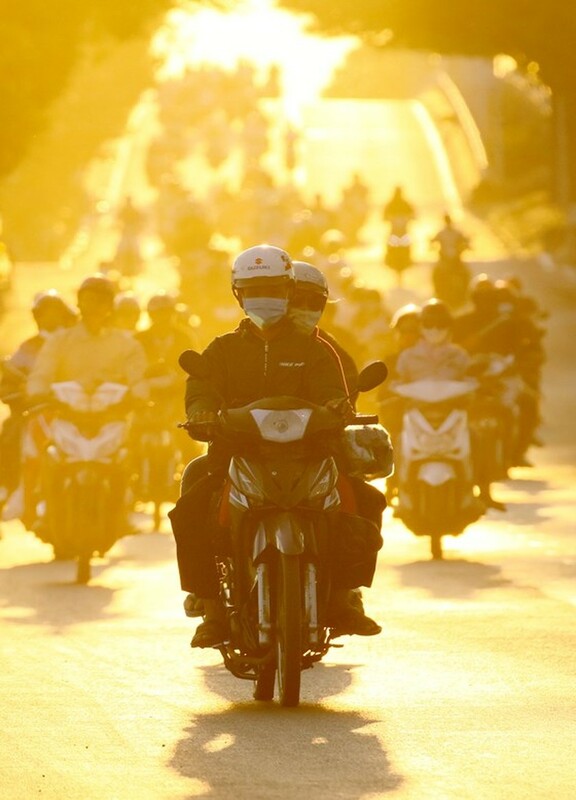 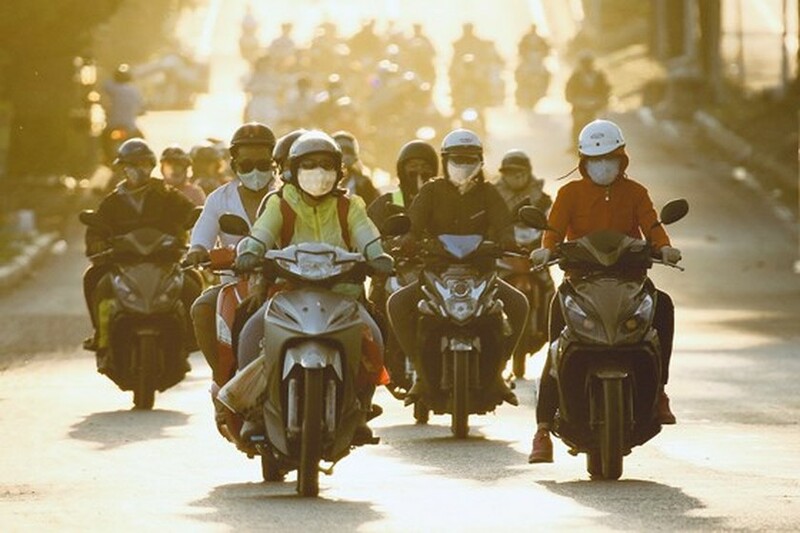 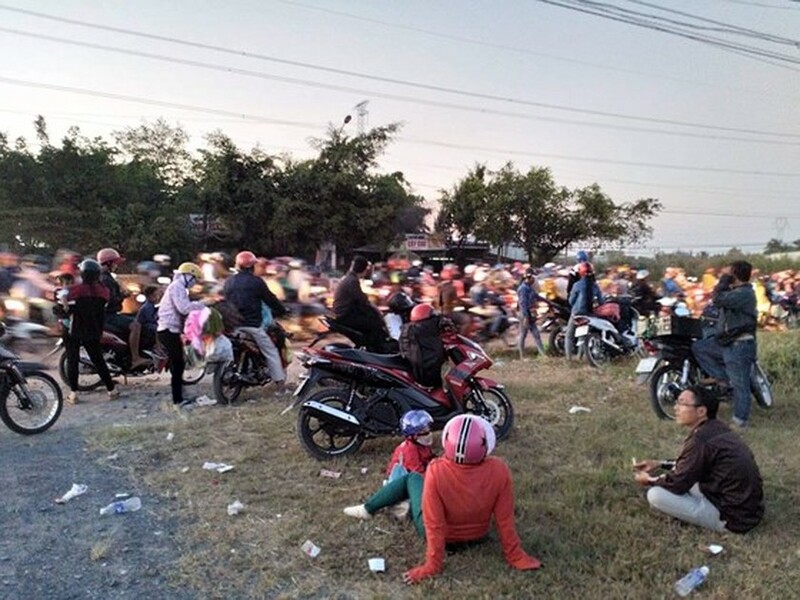 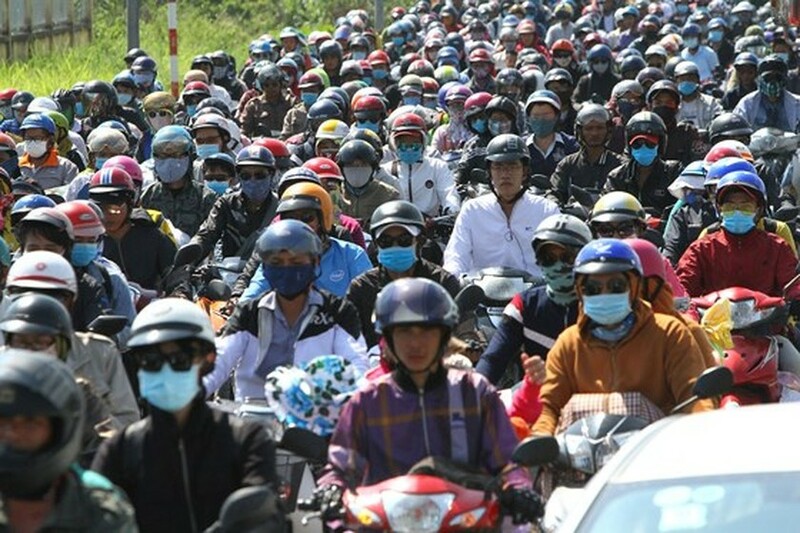 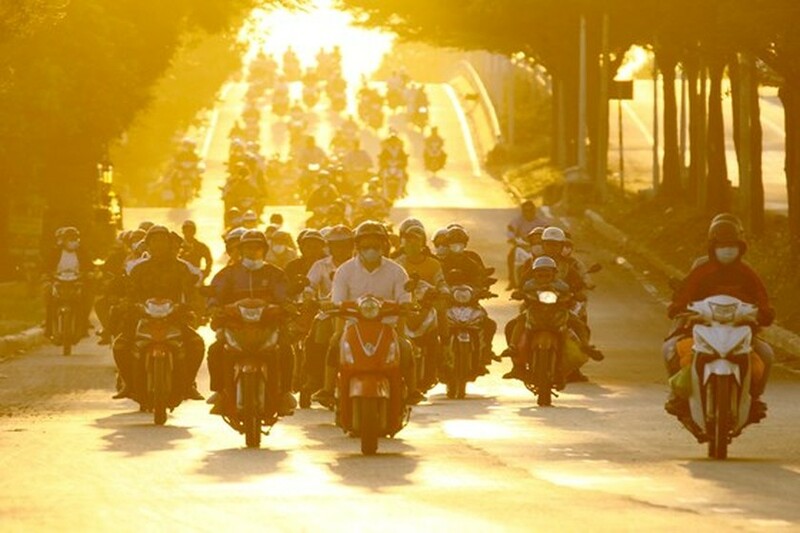 A motorbike suffered engine failure in the bridge blocking the stream of vehicles causing about 10 kilometer long traffic jam in the bridge side in vinh Long province. 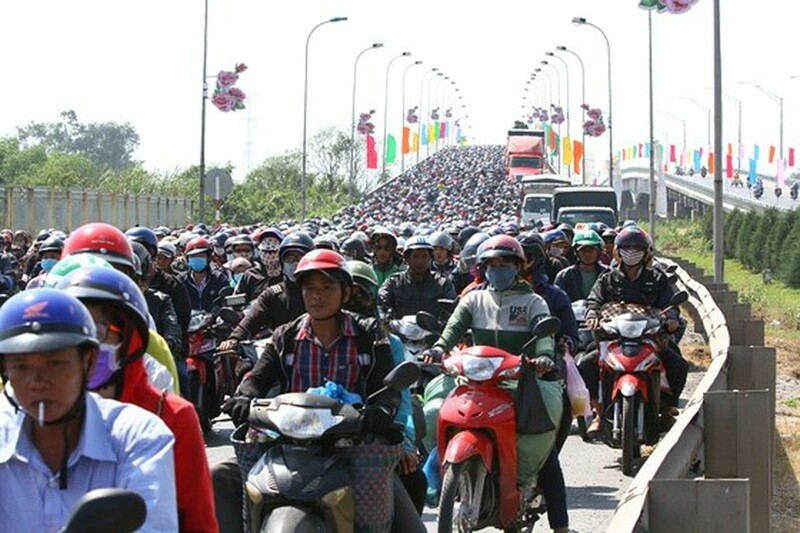 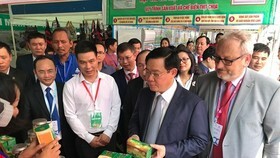 The bridge traffic snarl sent many drivers to change their direction to Dinh Khao ferry station in Vinh Long province to continue their journey to HCMC through Ben Tre province. 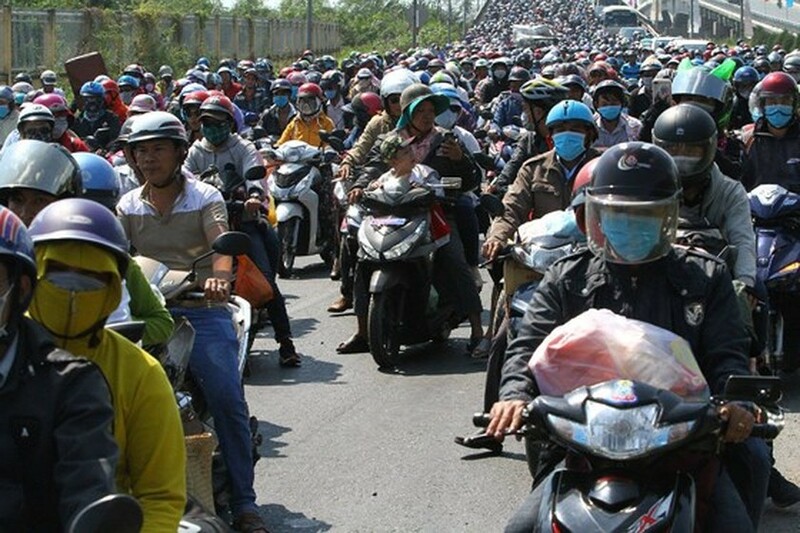 So the ferry briefly fell in congestion. 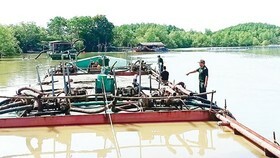 The station's management board mobilized more ferries but failed to improve the situation. 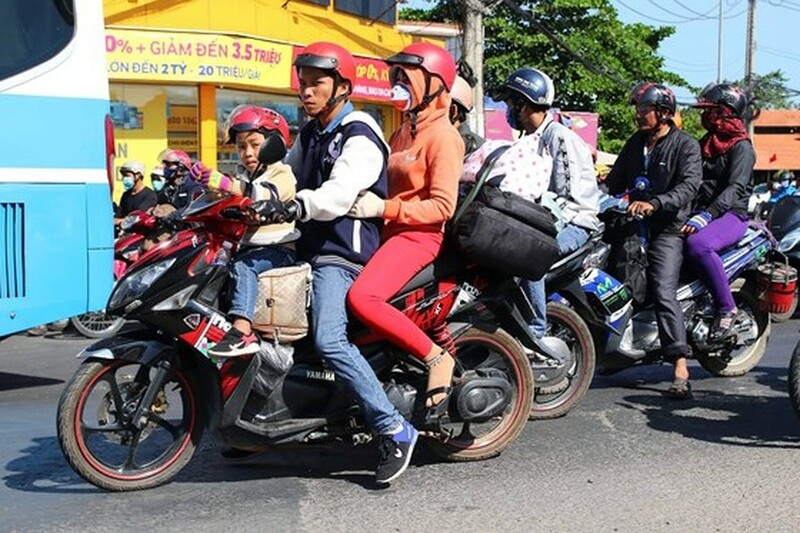 The increasing volume of vehices forced many automobiles to move to motorbike lanes while motorbikes must travel in pavements. 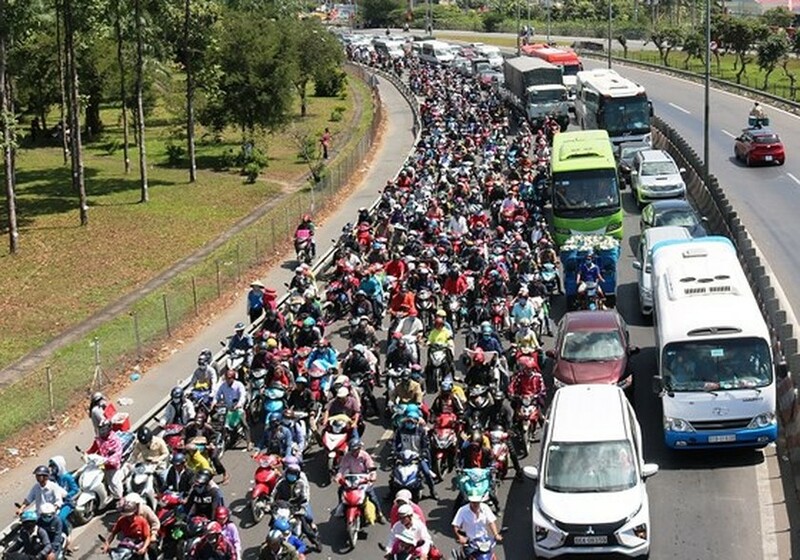 Despite traffic police efforts, the traffic jam was still severe. 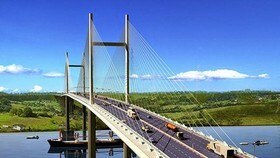 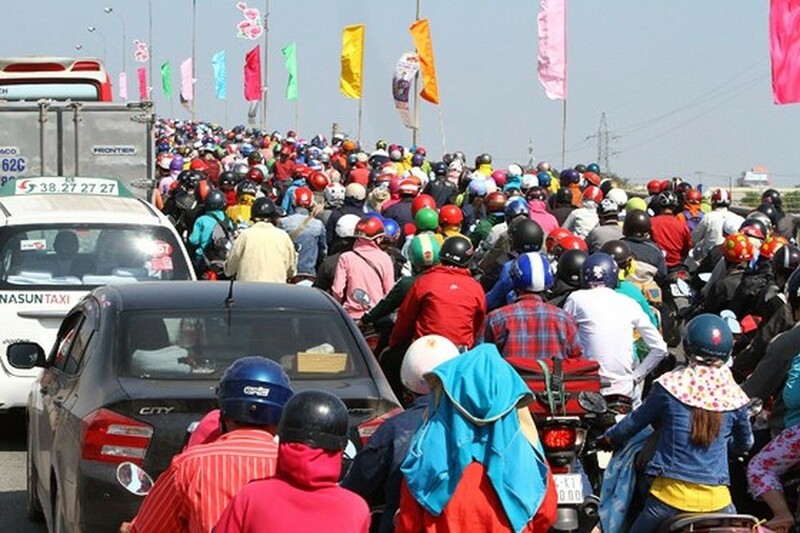 Vehicles must follow each other to travel across Rach Mieu bridge in Ben Tre province and Trung Luong crossroads. 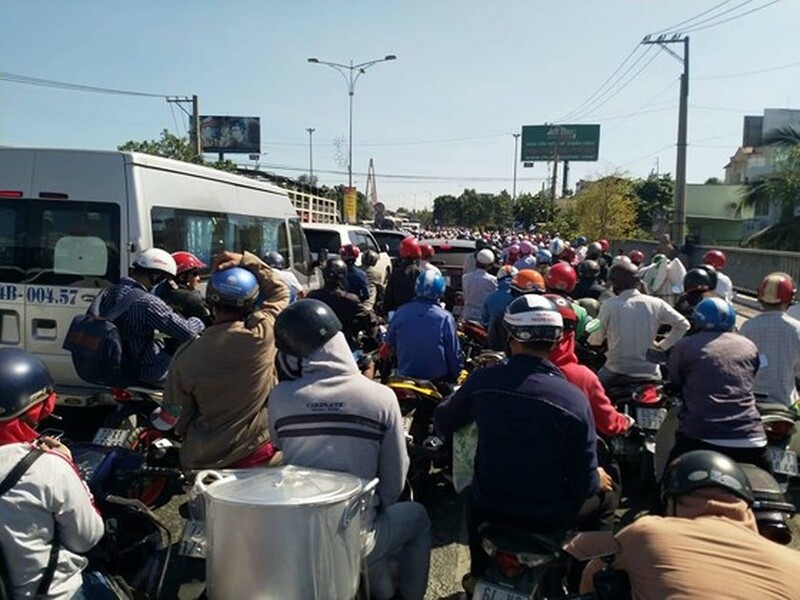 Vam Cong and An Hoa ferries in An Giang provice also suffered long lasting traffic jam with the worst being in the side of Long Xuyen city where vehicles long queued up to cross the ferry. 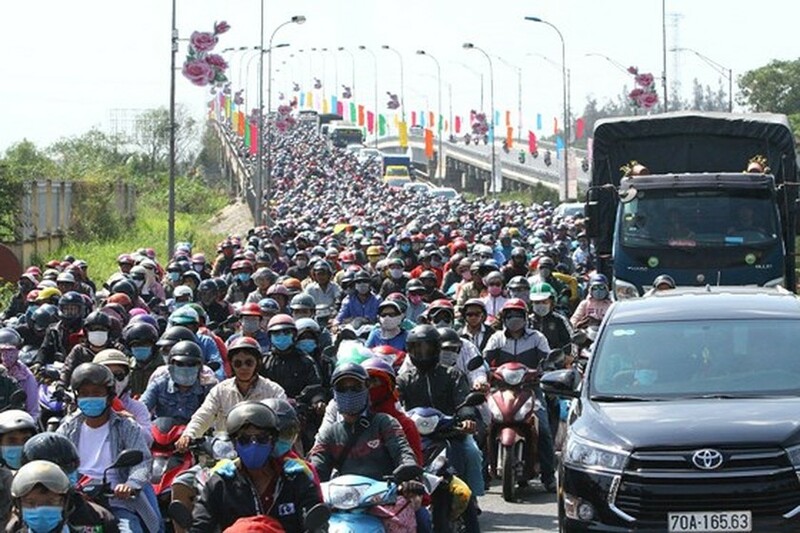 The provincial Department of Transport said that the traffic grildlock has been caused by the huge volume of people retunring to HCMC and holidaymakers to Ba Chua Xu (the Holy Mother of the Realm) pagoda in Sam Mountain, An Giang province. 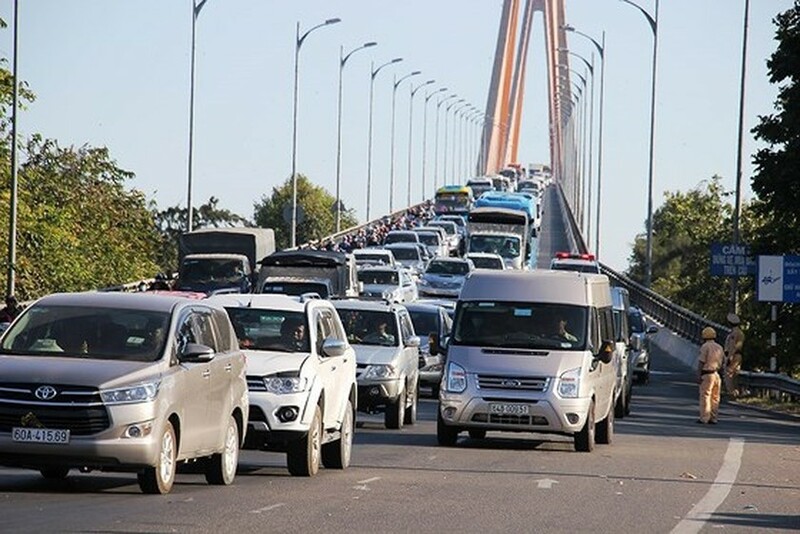 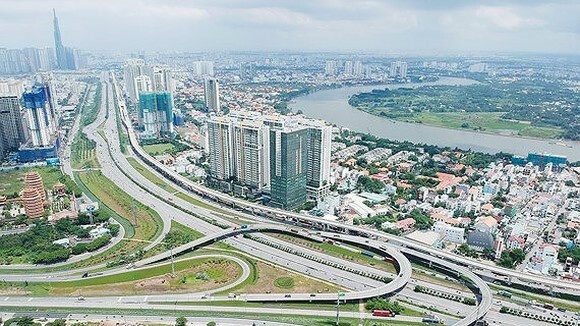 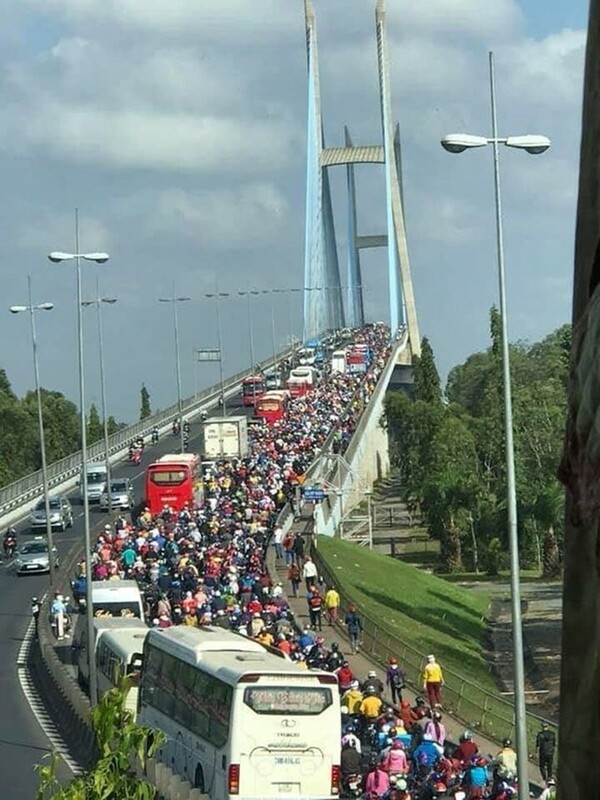 The huge volume of vehicles paralyzing Highway 60 in Chau Thanh district, Ben Tre province on February 10 forced Rach Mieu Bridge BOT One Member Limited Company to shut down the toll booth in the bridge at 1:21 p.m.
Traffic condition was improved after the shutdown. 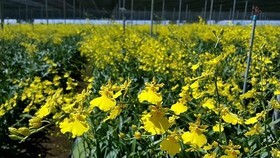 However at 4:20p.m. 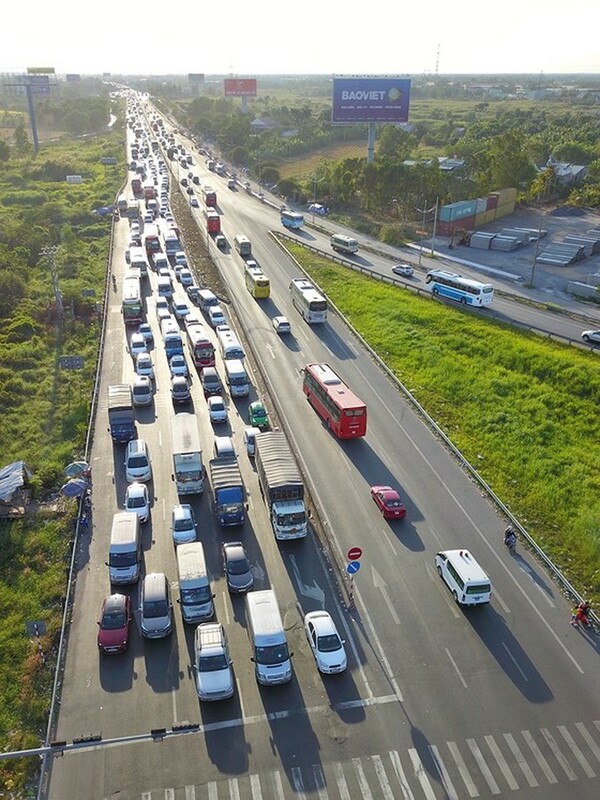 the volume of vehicles continued rising so the toll station management board decided to close down the second time for vehicles to travel through free of charge.